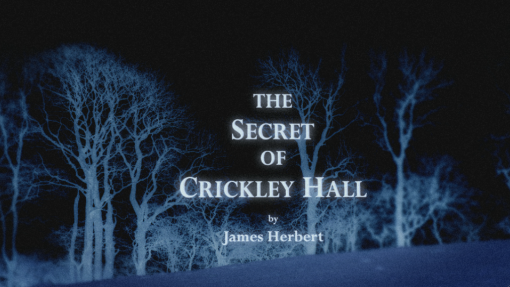 Congratulations on the first episode of Crickley Hall: it looks and feels like a Herbert novel. Thanks very much; I’m delighted to hear that. James has seen the first episode, and was very happy with it. I think that’s one of the biggest challenges when you’re doing an adaptation: you don’t want to disappoint the author. Did you read Herbert’s books growing up? Yes, I read The Fog, which is why I wanted to do this. It made a big impression on me. 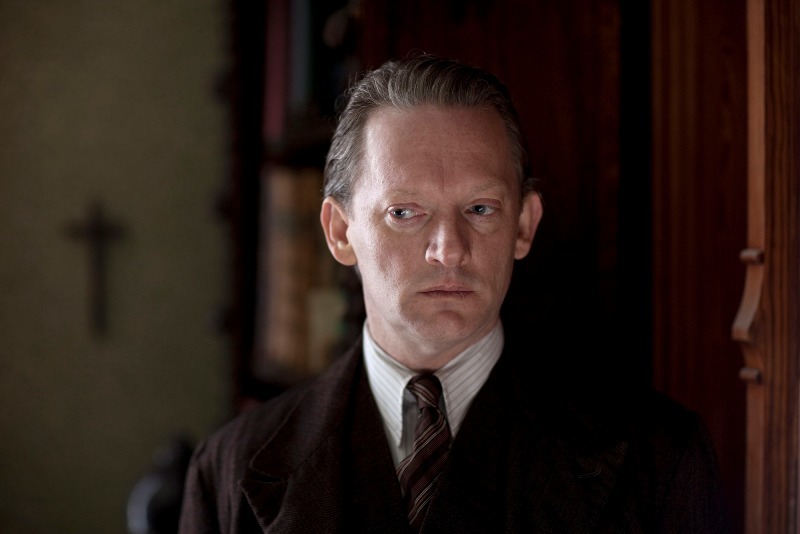 When the BBC said they were going to do a James Herbert novel, I thought, “How the hell are they going to do that?” They’re so dark, they’re so raw. 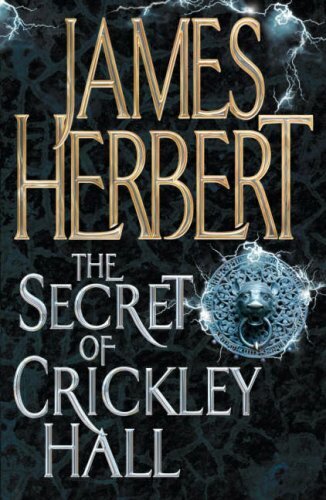 When I read Crickley Hall, it wasn’t as evil but it was pretty hard going. There are some dark things in it and I was reassured that no one was looking to water it down, but by the same token, when you read something in a book, you don’t have to visualise it in the same way that you do a TV or film. There are big challenges in that. With everything that’s been going on recently with regard to child abuse, are you concerned that it will get a tougher reaction because it’s dealing with historic child abuse? I don’t know really. Obviously the programme was all completely done and put to bed before any of these things happened. Whenever you make a programme, you see things that intercept in the news, there are associations with them; I think with Crickley Hall, missing children and so on are a staple of ghost stories. Ghost stories are about dead people ultimately. If you decide to do one for television, chances are that there might be dark things in the news that occasionally chime with that. Really, I’d say the story of Crickley Hall has nothing whatsoever with what’s going on in the news at the moment, with one exception: one of the messages I got from the book is how precious children are, and how we have to really watch out and protect them at all times. Did the split time period cause a problem? Initially we were going to do it as a straight one-off. That was the original commission when I started three years ago, one 90-minute film. I wrote a pretty straight adaptation of the book and that script was sent to James Herbert. He wrote a lovely letter back, saying when he heard the BBC was going to a single film of it he didn’t think it was possible because it’s a big chunky book, with so much in it, and he thought it would be condensed too much. But he was really delighted with it. As we kept on developing it, and people liked it so they wanted to expand it into three hours, I could see that there was the extra material in the book. I didn’t really want to stretch the contemporary story, because in that, all that can happen is people go to a haunted house, find out stuff and then leave… In the book, you get to the latter half, and you follow all these subsidiary characters. You could do that in a movie or a TV series, but it is a bit difficult. In those you want to follow central characters, and it’s a bit difficult to shove off for 20 minutes and do something else. So when they said could I do it as a three-part miniseries, I thought the way to do it was to look into the historical characters. The book does have a dual timeframe, but the flashbacks are moderately glancing – you don’t spend a great deal of time in the past. So I dug out my copy of Godfather II and wondered if you could do a true dual narrative, and do something not seen before: see the story of how the ghosts come to be ghosts. I’ve never done anything like that before; it was really tricky. Whenever you do a normal script for TV there are often B and C narratives, when you go to a different location and follow subsidiary characters. It’s always tricky in the edit working out when you go away and come back. This was like that, but times a hundred! You’re not going somewhere else, but you are going back eighty years. What you’re doing all the time is posing questions in the present and answering them in the past, and vice versa. You find out in the edit very quickly that it’s really flexible the way you can tell that story and what scenes fit where. When we showed the [script of the] revised version of what became the first couple of hours to James, he was concerned because the historical stuff can get in the way of the narrative too much, and you can get frustrated. We talked it through with him, and said the script wasn’t set in stone, and quite a lot would change in editing – and it did. You find the right moments and the music when you’re working with the scenes that you’ve shot. One of the hardest things I found when writing it with the dual timeframe was how much you define for the audience. So, for example, if you let the audience know right at the beginning [the fate of the children in the orphanage], then when you go back into the past, you might feel you can’t invest in them, so we kept it quite vague in the first episode, so you get more of a connection to what’s going on. All the names are from the book. I didn’t change any of those. James is good at names: they’re quite Dickensian. You’ve got a tremendous cast led by Tom Ellis and Suranne Jones, but they all seem to be very much as described in the book. Did you have any problems with people, given the material? No, we were very lucky. If I’m writing and directing and an actor’s interested, but has worries about aspects of the script, I can fix it. Some of the actors were intrigued, but there wasn’t quite enough there in the script for them to commit. I would rewrite the script and add the motivation, give them more to get their teeth into. Some of the actors needed that, some of them were on board from word one. The harder people to cast were the children – they’ve got less of a body of work, and you’re never quite sure how they’ll be once you get them on set. But also you have to keep it from them unless it affects the performance! How much were they aware of what the final version would be like? As far as I was concerned, no one under 16 was allowed to read the script, and that was printed quite clearly on the front cover. It’s not a story for children even though children are in it. The story was explained, both by the filmmakers, and the chaperones and parents, in an age-appropriate way. With a five year old you don’t go into a lot of detail about what’s happening. You say there’s a bad scary man and he’s got a cane. That usually works. If you’ve got a scene that goes on for a particular time, then the kids might get a bit nervous, so then you stop and reassure them and either do it again, or cancel it and do it another day. I think that only happened a couple of times over the several months of the shoot. They were pretty good. There was one occasion where a little girl got wound up; it wasn’t a particularly scary scene, more of a suspenseful scene, where you’re waiting for something to happen. The something wasn’t that dreadful but she got wound up, so we stopped, tried to reassure her, but she wasn’t completely happy, so we let her go home that day and carried on the scene without her. Luckily we had enough footage we could shoot it around her. What was the most challenging thing to overcome? Probably working with so many children for such a length of time, particularly the first couple of weeks when we did the period drama. We had the orphans in, virtually every day. The other aspect was the challenge of making stuff that’s scary on television, particularly when it’s a ghost story. That genre is well-defined: people have seen every trick in the book, so how you shuffle the cards is quite a delicate balancing act. You can’t have extreme violence on television, you can only have suspense and dread and the occasional shock. It does test you as a director in how you marshal those resources and make people jump. I learned a lot about sound – sound is incredibly important in the ghost genre. All the characters are listening out for stuff all the time, so the audience is doing the same thing. Sound on television doesn’t work quite the same way it does in cinema; people don’t watch television in a darkened room the way you do in the cinema. On television a lot of the things are playing against you when you want to do scary stuff, so that’s a good challenge. 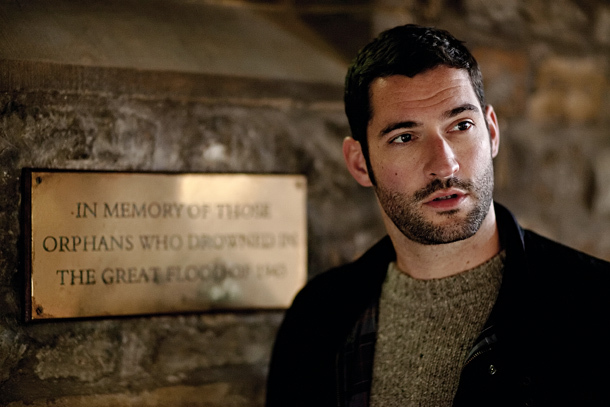 It’s one of the reasons I wanted to do it, because I hadn’t done a ghost story before – I’ve done vampires and aliens. Did you go back and look at the classic BBC ghost stories like The Stone Tape and Ghostwatch? I looked at films like The Shining: that’s probably the gold standard for me in terms of ghost stories. I think there aren’t all that many you can point at and say they nailed it because they’re so difficult to get right. And there haven’t been all that many done on TV. 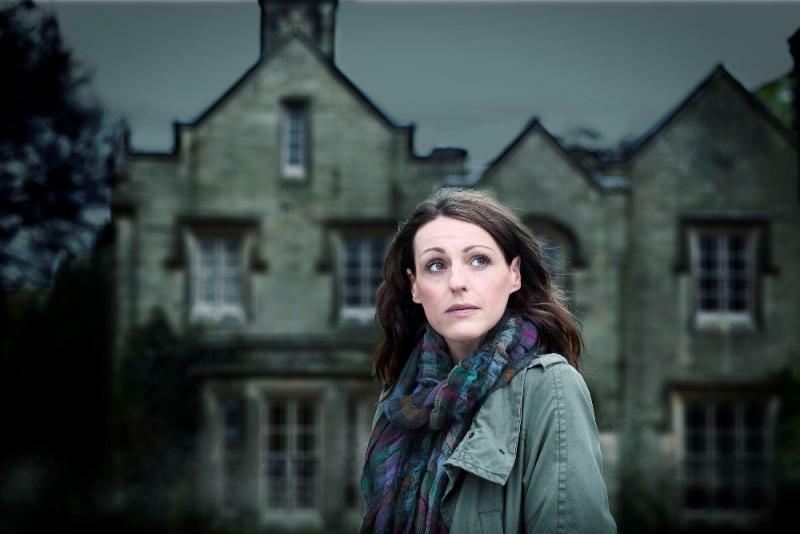 Do you know what the reaction to Crickley Hall was like in America [BBC America broadcast it in one three-hour slot on Halloween]? I don’t know how many people watch BBC America! The New York Times gave it a really good review. They put it up against the other dramas that were playing around Halloween and said it was the best one. I think it had good feedback, but I have no idea about the mass communication of BBC America with the mainstream. I think they’re aware: Olivia Cooke, who plays young Nancy, is in the new Psycho prequel and Iain de Caesteckerhas just got a part in Joss Whedon’s new SHIELD series. 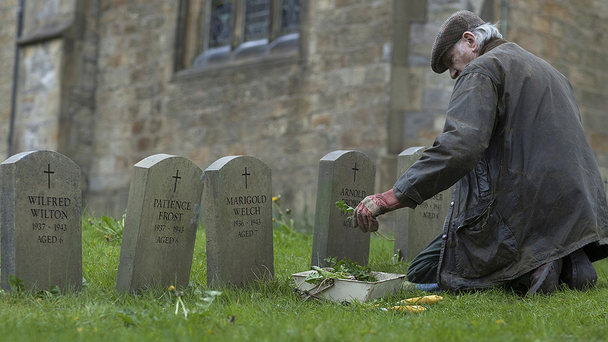 And everyone there knows Donald Sumpter and Maisie Williams from Game of Thrones. Right now, I’m writing a book adaptation for a film company, a science fiction time travel thing with a very bizarre premise, which is fun. I’m also writing something for the BBC which is in development, with a supernatural slant to it. Yes, I wrote an episode of that which they’ve just finished filming. I went up to set to have a look at some of the filming. I think that’s out in April next year. It is. David Goyer is brilliant, obviously, which was the reason I wanted to do it. The Americans have a lot of resources – even though it’s filmed here – the sets they’ve got are extraordinary. They’re like nothing I’ve seen on television on here. They’ve got a great cast, and it’s a really interesting take on a historical figure. I’m really keen to see how it works out. Yes, with Julie Gardner, the former exec producer on Doctor Who. I think I was just a withered husk at that point! Who had finished with me, after nine months. Clearly there’s a lot more with Doctor Who, five years later. Then I just wanted to get back to London. Now, I’d certainly do it again, but the timing would have to work out. I have been asked over the years, but the timing just has never been right. 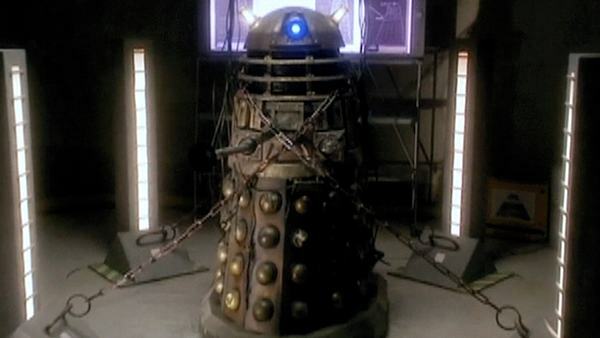 It’s got a different tone; a change in the Doctor changes everything pretty much. It’s still brilliant. I still watch it!